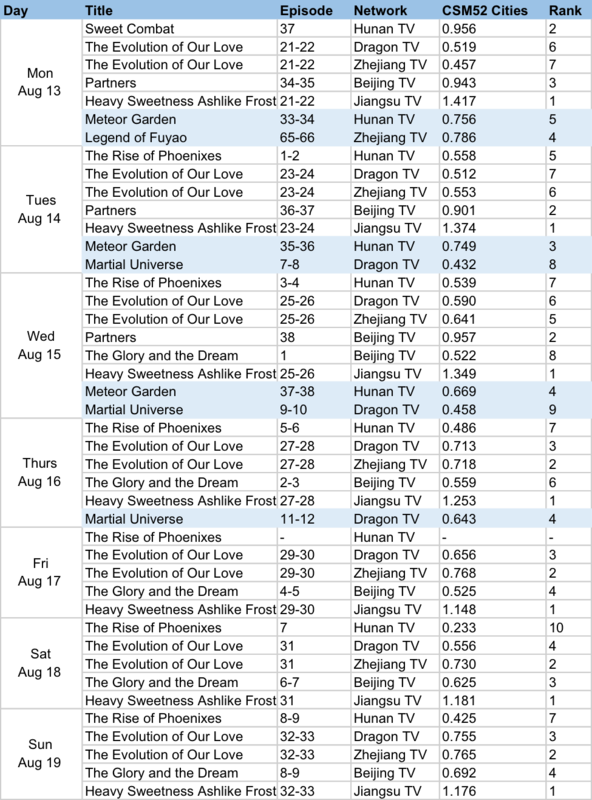 Ashes of Love (this seems to be the official title) is the undeniable winner this week as it leads both CSM52 and CSM Nationwide. It is currently the only drama that has managed to break past 1% in ratings despite dramas like Sweet Combat, Partners and Legend of Fuyao airing their series finales. The Rise of Phoenixes premiere fell flat as the show ended the week with CSM52 ratings of 0.4%. 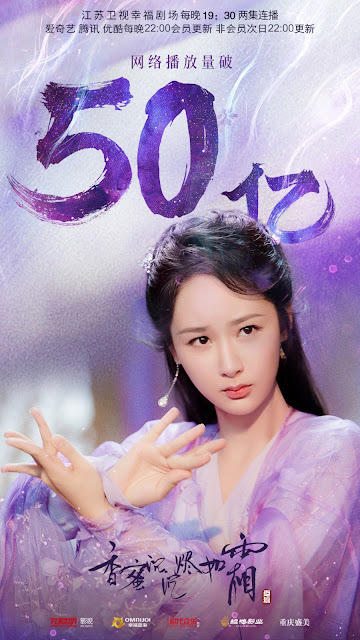 After reaching 4 billion views last Friday, Ashes of Love added another billion by Sunday to total over 5 billion views. Nevertheless, Story of Yanxi Palace still tops web rankings and will likely keep the lead now that it's churning episodes double time on its final leg. After a couple weeks off the list, Bloody Romance makes its way back into the running in tenth. Meanwhile, Deng Lun joins Yang Zi on the weekly celeb rankings in ninth. With the way the story's progressing, perhaps Leo Luo Yunxi will make the cut next week. My heart bled for him (more like all of them) in the last episodes. Looks like there is now less interest on remakes like Meteor Garden and Evolution Of Our Love. Fuyao doesn't affect Ashes of Love's ratings. They don't air in the same time slot. Ashes of Love has surprisingly low online views (compared to the hit historical dramas last year). I really hope it becomes a big hit soon because its sooo good. But reading comments, it seems like some audience isn't too happy about the little screentime for the leads so some are boycotting the show at the moment >< I myself love Luo Yunxi and Run Yu so I don't mind seeing more of him. I hope he makes the cut for the celebs list too. All dramas this year have had low online views compared to last year. By this time last year there were at least 5 dramas with over 20 billion views and so far none this year. That demon world princess and his guard has much more scenes than Run Yu, i skip a lot when it comes to that couple. Hope the boycott won't last and ashes of love can go higher in ratings. But wow, i'm shocked that sweet combat still has really high ratings, it must be a well received drama both online and on tv.